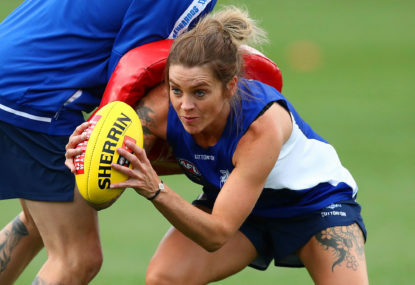 The North Melbourne Kangaroos begin their AFLW journey by welcoming the Carlton Blues to North Hobart Oval. Join The Roar for live scores and a blog of the match, starting from 1:05pm (AEDT). The Melbourne Renegades welcome the Sydney Thunder to Marvel Stadium to kick-start another Big Bash fixture. Join The Roar for live scores and a blog of the match, starting from 7:15pm (AEDT). 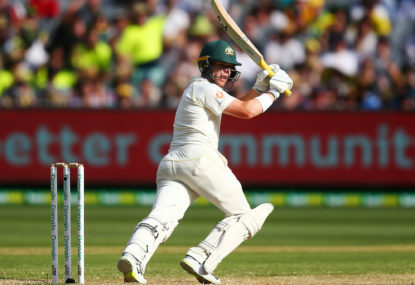 Australia, having defeated Sri Lanka by an innings and 40 runs in the first Test at the Gabba, claimed a 1-0 series lead. 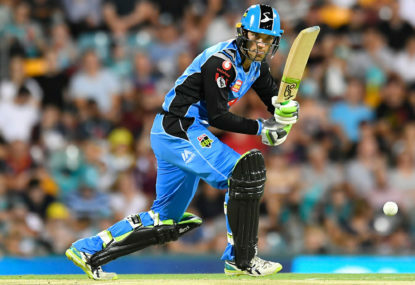 Ted Summerton Reserve in Moe will host the all-important Big Bash clash between the Melbourne Stars and Adelaide Strikers. Join The Roar for live scores and a blog of the match, starting from 3pm (AEDT). 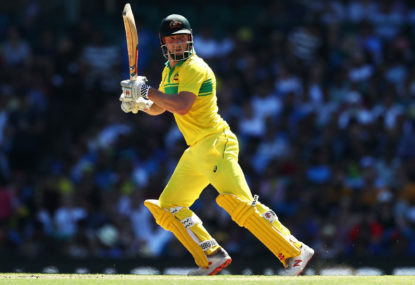 Australia and India will go head-to-head at the Melbourne Cricket Ground looking to claim the ODI series, as it is currently level at 1-1. Join The Roar for live scores and a blog of the match, starting from 1:20pm (AEDT). 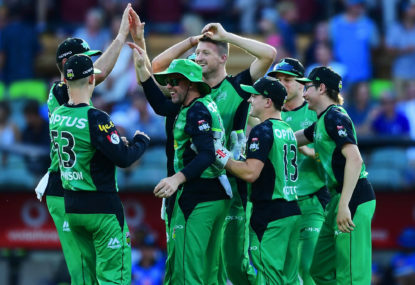 The Melbourne Stars welcome the top-of-the-table Hobart Hurricanes to the Melbourne Cricket Ground in a game they must simply win if they have finals aspirations. Join The Roar for live scores and a blog of the match, starting from 7:15pm (AEDT). 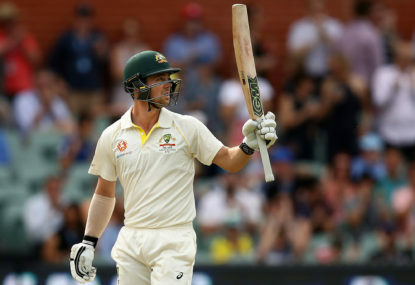 Match result: A rained-out fifth day at the SCG has seen India officially win a Test series in Australia for the first time after turning the final match into a non-result. 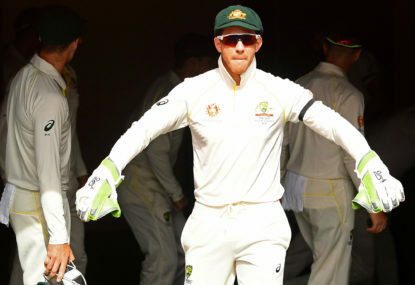 Day result: Australia are left to hope for a draw at best after batting out the third day at the SCG, still almost 400 runs behind India with only four wickets left in hand. 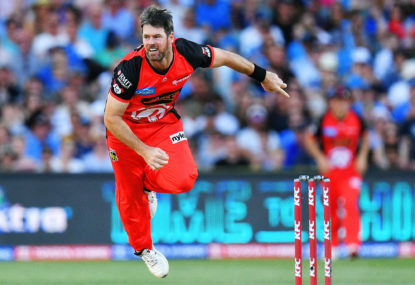 The Melbourne Renegades will be looking to bounce back against the Adelaide Strikers at GMHBA Stadium after a last-start derby loss. Join The Roar for live scores and a blog of the match, starting from 7:15pm (AEDT). Match results: Australia have fallen agonisingly short of victory in Adelaide, with India hanging on to take the first Test by 31 runs. 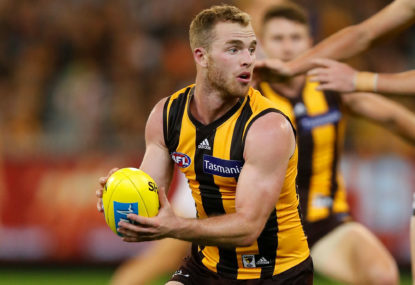 Match result: Hawthorn have strengthened their top four ambitions and added another chapter to a storied rivalry with an 11-point win over Geelong at the MCG. 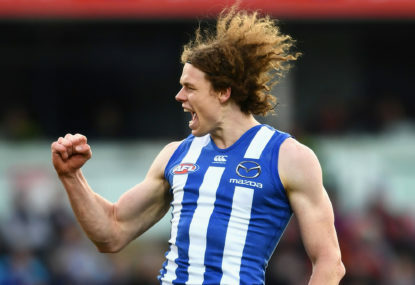 Match result: A horrendous miss from Brisbane rookie Cameron Rayner has handed North Melbourne a thrilling three-point AFL victory. Match result: North Melbourne have kept their AFL finals hopes alive with an upset 40-point win over West Coast in Hobart. Match result: The Brisbane Lions are on a three-match winning streak, coming away comfortable victors over the Hawthorn Hawks in Launceston. 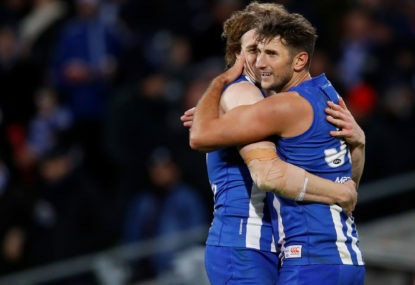 Match result: A late fadeout has cost struggling Gold Coast yet again with North Melbourne cruising home to a 37-point AFL victory at Etihad Stadium. 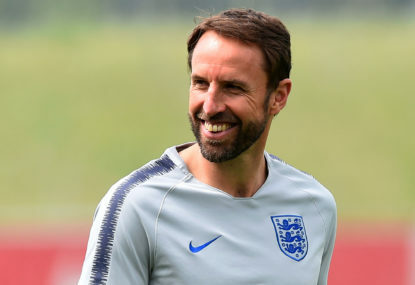 England have battered Panama 6-1 at the Nizhny Novgorod Stadium to secure their place in the round of 16 at the 2018 FIFA World Cup. Match result: England have battered Panama 6-1 at the Nizhny Novgorod Stadium to secure their place in the round of 16 at the 2018 FIFA World Cup. Belgium have opened their World Cup finals account with all three points after defeating Panama 3-0 at the Fisht Olympic stadium on Tuesday morning. Match result: Belgium have opened their World Cup finals account with all three points after defeating Panama 3-0 at the Fisht Olympic stadium. 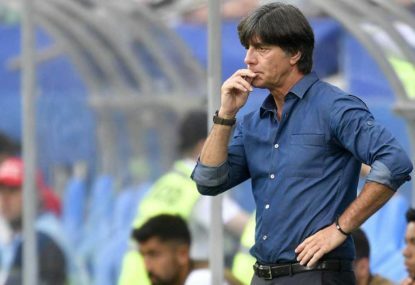 Hirving Lozano’s first half-goal proved to be the difference in the end in gaining an important three points for Mexico against Germany at the Luzhniki Stadium in Moscow. 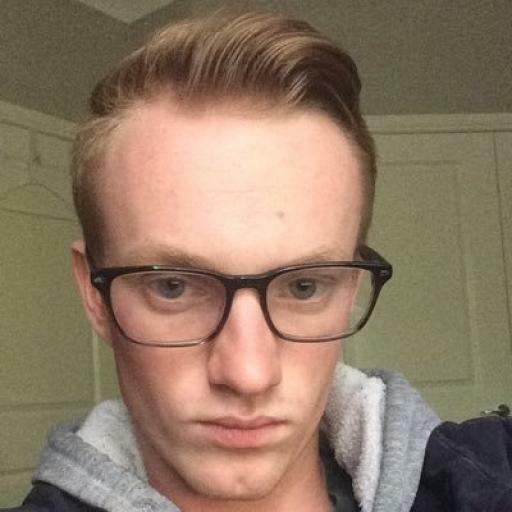 Cheers for joining me today everyone! Hawthorn are into the top four after defeating Geelong in a classic. Hawthorn were dominant for the majority of the day, but Geelong almost ran over them in the final quarter. 00.57 – O’Meara kicks the sealer! What a game! 03.16 – Hawkins marks and hits the post on the set shot! 04.45 – Parsons with a strong mark, but he misses on the set shot. 08.06 – Kelly strolls into goal and the Cats have three in a row! 09.56 – Menzel converts from the deliberate rushed behind. Geelong are coming. 10.49 – Henry with a bit of luck rolls one in from 50. A lifeline for the Cats. 11.55 – Minor for the Hawks. 13.31 – Minor for the Cats. 13.57 – Hawthorn defending really well. Have to really wonder where their list is at. 17.19 – Hawthorn just grinding away. Minor for the Cats to finish the quarter. Hawthorn dominant. 02.03 – Minor for the Hawks. 04.37 – Ceglar with the contestant mark and he will take his set shot. He goes back and converts. 06.12 – Schoenmakers with the quick reply! 06.30 – Narkle at the front of the contest and he snaps home another for the Cats. They keep on coming. 08.11 – Minor for the Hawks. 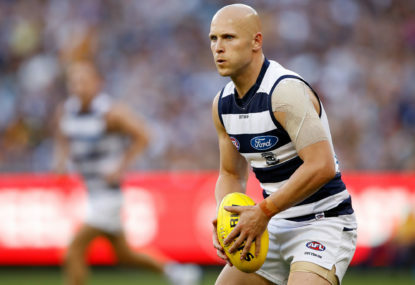 09.09 – Ablett from 50 gets another. Geelong really needed that. 11.48 – Gunston with the handball over the top to Morrison, and he was never going to miss. 12.57 – Gunston from 50 and that is a big moment for the Hawks. Chaotic passage of play.